He moved to Jordan, Minnesota in 1889 or 1890. 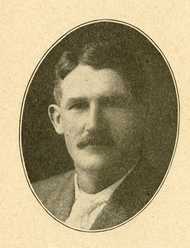 He was a Farmer-Labor Party member of the United States Congress. He was an unsuccessful candidate for reelection to the United States House of Representatives in 1934. He was an unsuccessful candidate for election to the United States House of Representatives in 1936. He was an unsuccessful candidate for the Farmer-Labor nomination to the United States Senate in 1942. He was a member of the Farmer-Labor Party when he was Minnesota Lieutenant Governor. He was one of the organizers of Land-O-Lakes Creamery and served on its board for 12 years. He was Vice-President from 1927-1933. He died in Jordan Minnesota and was buried in Calvary Cemetery. Occupation: Farmer/Vice President; Land O'Lakes Creameries, Inc. In Memoriam: Senators Ansgar L. Almen, H.M. Arens, Raymond H. Bares, Robert Cook Bell, Gordon H. Butler, David M. Carey, Homer M. Carr, Michael R. Cashman, Julius E. Diesen, Eric Friberg, et al. State of Minnesota Senate Chamber, March 31, 1965. - The information on H.M. Arens also appeared in the Minnesota Journal of the Senate, March 31, 1965, p. 781-782. Arens, Henry Martin. Biographical Directory of the United States Congress. 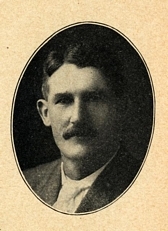 Henry M. Arens. Biographical Information from the Minnesota Historical Society's Governors of Minnesota.